Inside the 200 acre Playa Tesoro beach community with 2 miles of private beach we have 9 homes, common swimming pool, 2 private pools, restaurant, ocean couch area, sea turtle hatchery, massage, yoga, boat tours, surf boards, bicycles, boogie boards, and stand up paddle boards available to guests. 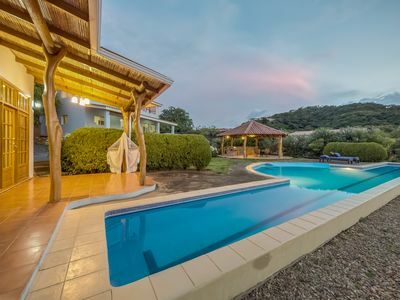 This 2 bedroom beach front home features a private pool, 2 Queen beds, Air Conditioning, Barbeque, Kitchen and appliances. This is a comfortable home with the developments' common pool and chilling couches on the ocean. 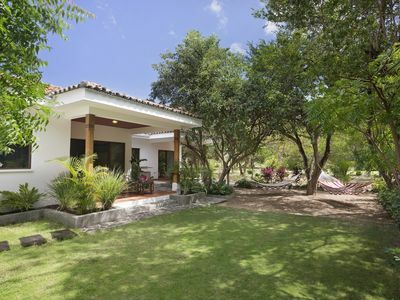 Come relax in the pool or on the patio and enjoy the amenities at Playa Tesoro. Many types of sea turtles lay eggs year round at our beach. The associated turtle hatchery releases from 300 to 2,000 baby sea turtles every day at 5 pm between October and late January. Maybe explore the 24 mile river system at the backside of the Playa Tesoro property? We offer river tours and paddle boards. 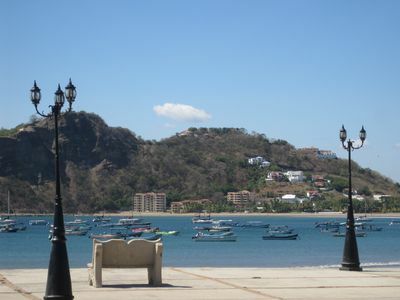 Playa Tesoro offers a water taxi service to Puerto Sandino, which is 4 km away down the river. 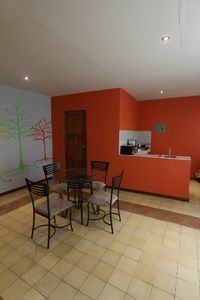 With the nightlife and shopping convenience of the amazing colonial city of Leon only 29 km away. 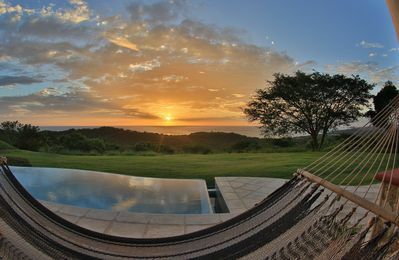 Enjoy the best that Nicaragua has to offer. 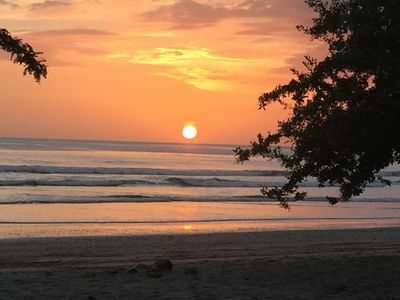 Located on a pristine pacific ocean beach between Salinas Grandes and Puerto Sandino, Playa Tesoro is southwest of the City of Leon, about a 45 minute drive away. 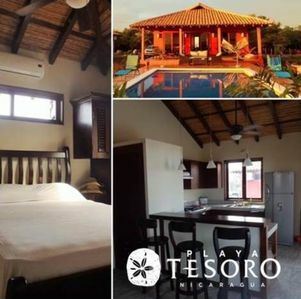 This Playa Tesoro beach home is a new 950 sq ft, 2 bedroom unit with AC in bedrooms, quality kitchen, furniture, queen beds/mattresses, sheets, stove, fridge, washer/dryer. 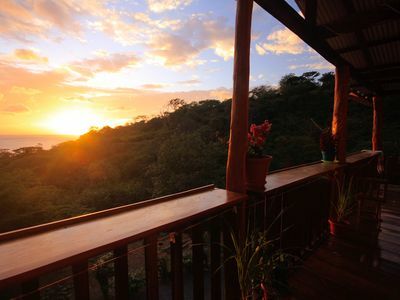 There is a large deck to view the sunsets. On the back side of the island/peninsula is one of Nicaragua's nicest estuary corridors. This fresh water river is an incredible natural environment with birds and fish in the mangroves lining the estuary. The river and ocean waters are calm and warm with a gradual, fine sandy slope into the water. The ocean offers excellent surfing, swimming and boogie boarding. There are several quality Surf breaks. For instance, at the south end of the peninsula 4.3 kilometers down the road is Freight Train. Freight Train is a famous, world class wave and in the top 4 in Nicaragua. There are intermediate beach breaks out front of the house. 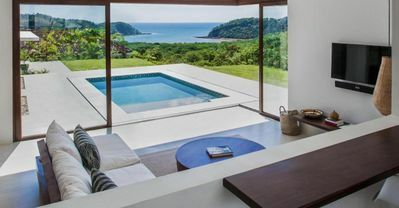 Each house is identical with a 950 square foot living area including a covered terrace right on the beach. 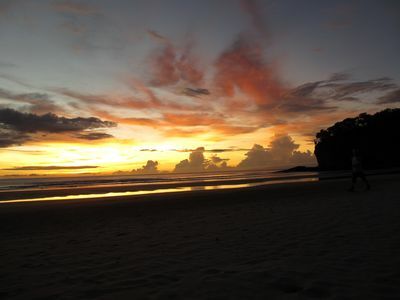 Enjoy the large fresh water estuary, the calm ocean waves, and the gentle ocean beach. Also, there are fantastic sunsets, bright stars at night and a huge variety of birds in the mangroves behind. Come enjoy nature! 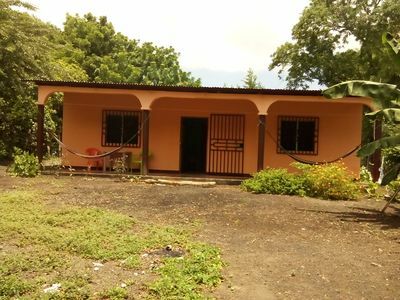 There is a community grocery store en route to Playa Tesoro about 10 minutes away. 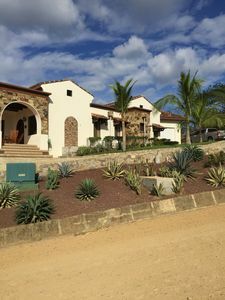 There are 8 finished houses at Playa Tesoro available for rent at this time. They are situated close together well within eye sight. 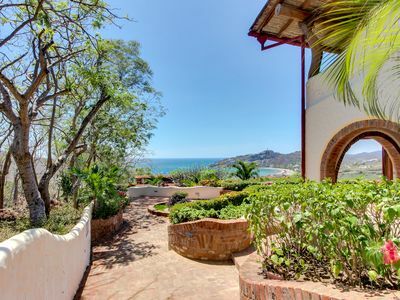 Every house at Playa Tesoro is for sale as a whole or 50%, or 25% portions. 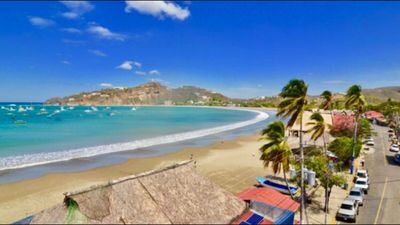 Come experience this great beach. 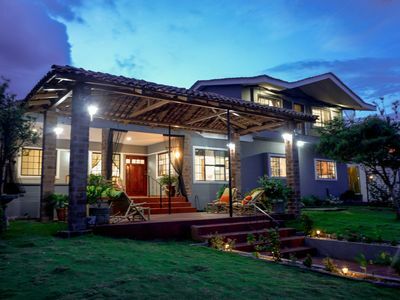 Buy a portion of this home and enjoy annual revenues AND a free beach vacation. 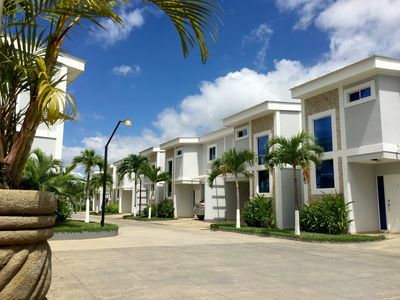 We continue building amenities everyday at Playa Tesoro. We also have many beach front, fully serviced lots for sale. 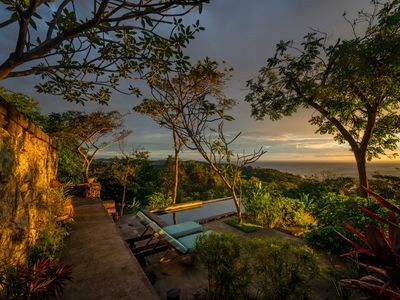 You are free to buy your own lot and build your dream, beach home in the tropics. DISCOUNTED Racho Santana Nicaragua! Great Rate, Private Pool, Panoramic Views. 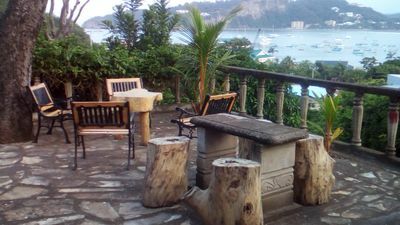 Come relax at Villa Vizcaya. 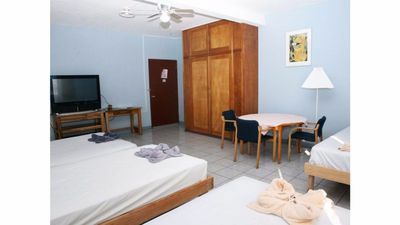 Long-term discounts: Cozy studio with access to shared pool and nearby beach! NEW! Spectacular Ocean view Home in SJDS minutes from town with private pool! 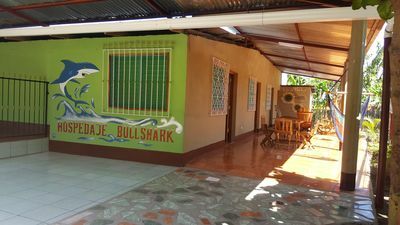 hospedaje Bullshark en las cercanias de ojo de agua una piscina natural.